German Chancellor Angela Merkel, French President Francois Hollande, Greek Prime Minister Alexis Tsipras and European Council President Donald Tusk presented the compromise agreement on Greece's debt issue at Euro summit, a French news agency reported Monday citing a European diplomat. MOSCOW (Sputnik) — Earlier, the European leaders in the quadripartite format discussed in Brussels the possibility and terms of additional financial aid to Greece. Euro summit will continue its work later in the day to discuss the compromise deal, Tusk's press secretary said. 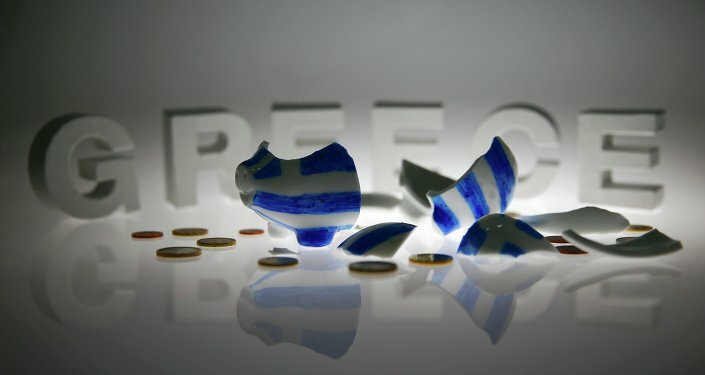 The July 5 referendum, in which the Greeks voted against the last bailout deal, sparked a new wave of speculation about Athens’ possible exit from the eurozone. On Thursday, Athens presented a revised plan that includes some of the creditors' requirements, including tax cuts and pension reforms.